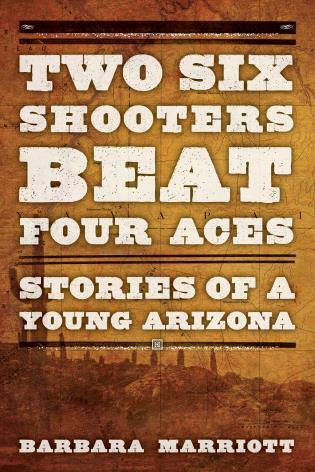 Taken from the interviews conducted by the Works Progress Administration (WPA) in Arizona during the Great Depression, this regional history offers more than facts, figures, and stilted portraits of “important history.” This glimpse into the lives of regional lifestyles—particularly in the relatively young state of Arizona—portrays history from the perspective of those who lived it. Gathered into chapters on outlaws and lawmen, miners and prospectors, cowboys, shepherds, and those who came to the state for its mineral wealth, the descriptions offered by the Arizona pioneers in these interviews become a powerful tapestry of adventure and men’s dreams. Barbara Marriott has eleven published historical fiction and non-fiction books. Her historical non-fiction books on the old west include Outlaw Tales of New Mexico, Myths and Mysteries of New Mexico, Annie’s Guests, Canyon of Gold, and In Our Own Words: The Lives of Arizona’s Pioneer Women. She lives in Tucson, Arizona.